Love in the midst of grief is the story of a devastating double tragedy; the deaths of two much-loved young men within a short time of one another, one from a terrible virus, the other from unknown causes. Their loss devastated their family. Nine years on, their younger brother-in-law, Satenam Johal, who has a professional background in social care, has written a detailed account of the tragedy and its aftermath. In doing so he hopes not only to help his family in their continuing grief but to provide others who are mourning loved ones to understand and manage the grieving process. 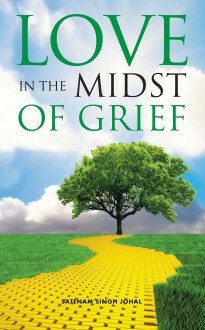 The book will also be of great help to professionals seeking to help the bereaved.